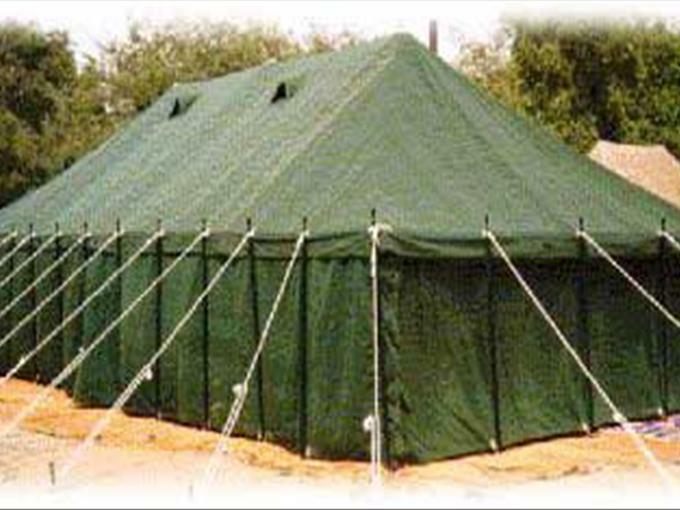 Heavy duty group tent ideal for accomodation/ storage / Hospital or general use. This is an economical version of the Marquee Universal tent in which the roof is made in one piece instead of sections. Made from Cotton Canvas Waterproof 500 or 600 gms per square meter natural white or in a color of your choice. Ground sheet in Canvas, PE fabric or PVC -optional. The tent comes packed in a cotton carrying bag. Complete with metal poles, iron pegs, pins hammer and a carrying bag.